Date: Wednesday, 21st February 2001. Venue: Constant Vanden Stock Stadium, Anderlecht, Brussels, Belgium. Competition: ECL, 2nd Stage Group D: Match 4. 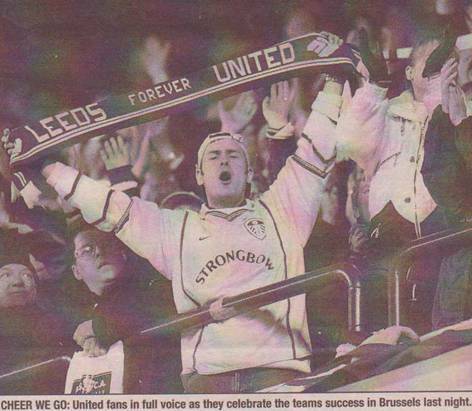 Score: Anderlecht 1 Leeds United 4. Scorers: Anderlecht: Koller. 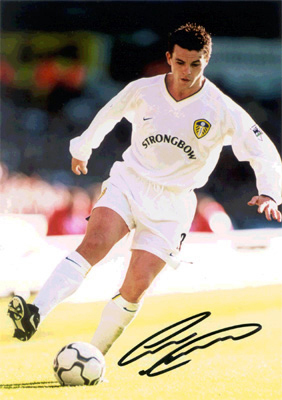 Leeds United: Smith (2), Viduka, Harte (pen). 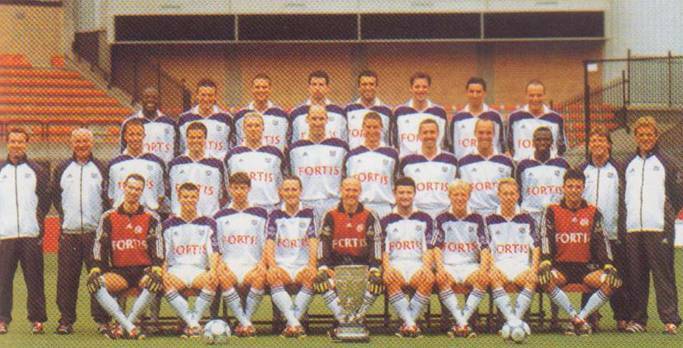 Anderlecht: Milojevic; Crasson, Ilic (Dindane), De Boeck, Vanderhaeghe, Goor; Dheedene, Bassegio, Stoica; Koller, Radzinski. Unused Subs: Van Dieman, Hasi, Pirard, Youla, Traore, Carlier. 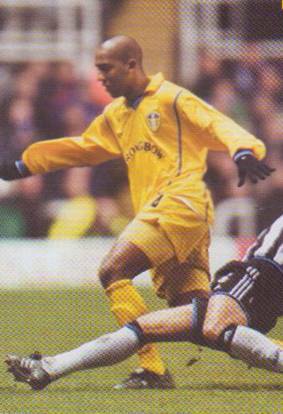 Leeds United: Martyn; Mills, Ferdinand, Radebe, Harte; Batty, Bakke, Dacourt, Matteo; Smith, Viduka (Kewell). Unused Subs: Wicox, Burns, Maybury, Robinson. United had put themselves in the driver’s seat and were clear second to Real Madrid in the group, but they had the daunting task of the visit to the fortress of the Constant Vanden Stock Stadium. 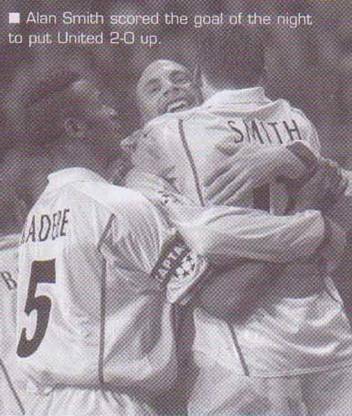 Anderlecht reigned supreme at the venue and boasted a 100% record in Europe, winning all twenty games played there, including a win over Manchester United. There were claims from the Belgian coach that United had been “lucky” and “arrogant” in their Elland Road victory, and there were several disparaging remarks about Leeds players and Mark Viduka in particular. Having been dismissed from the FA Cup, United had the luxury of a free weekend and they were well able to prepare for the return leg without distraction. The reported utterings of the Anderlecht coach were a good incentive to rebuke those remarks and United smashed their feelings of invincibility with a superb display of attacking football. 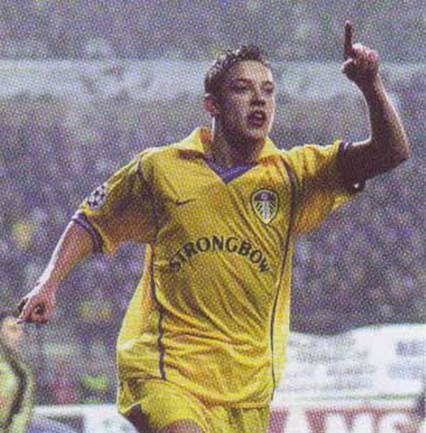 Alan Smith scored twice in the first half with a classic Mark Viduka header sandwiched in between, as both returned to goal-scoring form and broke their recent drought. 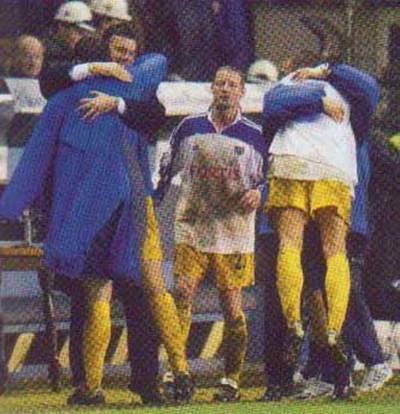 The United defence held firm until the seventy-fifth minute when Jan Koller managed to get on the score sheet, but the home team were never in the hunt and a push on Mark Viduka allowed Ian Harte to complete the scoring from the spot and secure a memorable victory and another LUFC highlight in their impressive European campaign. It ensured that they and Real Madrid were through to the quarter finals of the EPL, even though both still had two games left to play. Fortress Vanden Stock came tumbling down as United’s Championship League raiders performed a rampant and comprehensive demolition job. The Belgian champions, swaggering on the back of twenty-one straight successes and nine consecutive European victories in their compact theatre of impenetrability, were battered, bruised and ultimately humiliated as their walls collapsed around their ears. 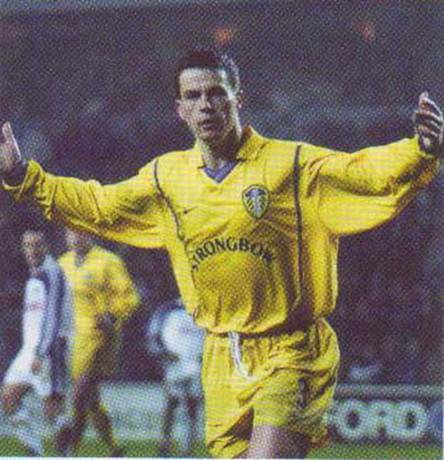 At last the flood gates opened for Alan Smith and Mark Viduka as they got three goals between them in a triple first half blast which left the home team and their fans much bemused. 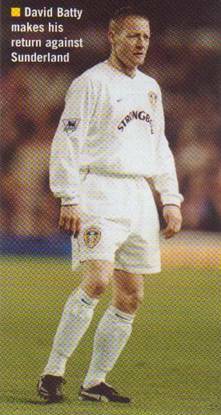 Lee Bowyer’s suspension meant a return for Eirik Bakke, while Anderlecht were unchanged from the Elland Road clash. The tiny Vanden Stock Stadium was long the graveyard for its visitors and by coincidence the last team to have won there in European games was United, twenty-five years previously. 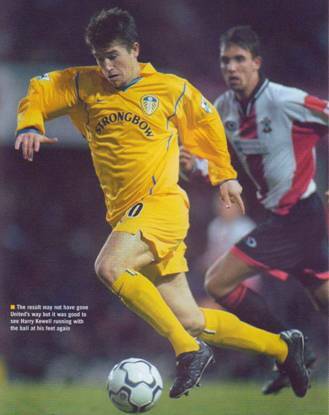 Leeds needed to weather the anticipated early storm and they did have their not-so-secret-weapon in Harry Kewell on the bench. In the second minute Ian Harte needlessly conceded a corner and David Batty had to be alert as Didier Dheedene closed in for the kill. 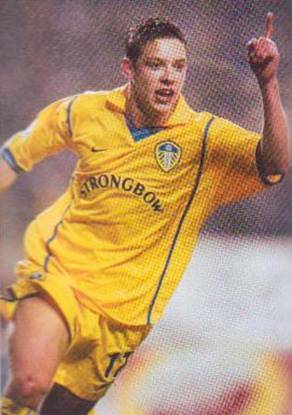 Some excellent covering by Dominic Matteo denied Tomasz Radzinski, but when Leeds broke Olivier Dacourt wanted a touch too many after Mark Viduka had played him in. Alan Smith won a free-kick to the left of the area and Ian Harte’s pile-driver was deflected for a fruitless corner. 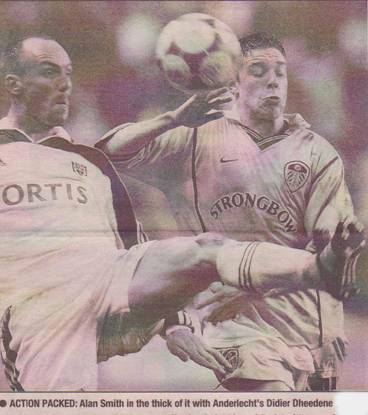 Eirik Bakke then forced Zvonko Milojevic to acrobatically tip a snapshot over the bar as Leeds made a bright start. Alin Stoica was prompting and probing in midfield and Tomasz Radzinski wasn’t too far adrift with a twelfth minute drive. However a minute later United took the lead. 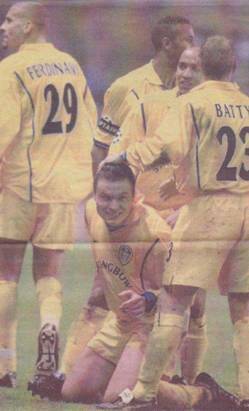 Mark Viduka, on the left, cleverly picked out Alan Smith who blasted the ball home from close range. 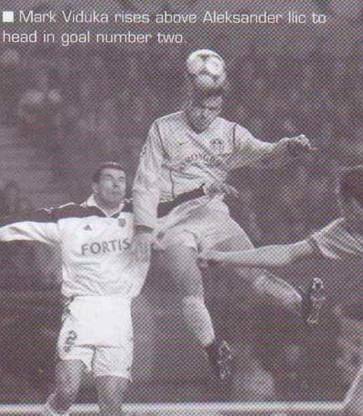 There was some poor defending by Glen De Boeck that let Mark Viduka in and it took a brave challenge by Zvonko Milojevic to deny a certain goal. 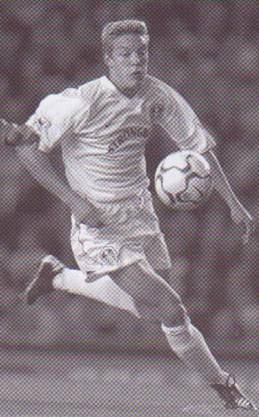 Leeds went two up in the thirty-third minute when Ian Harte found Domininic Matteeo in lots of space on the left and his pinpoint centre was headed into the far corner of the net by Mark Viduka. Olivier Dacourt rifled in a shot as Leeds kept up their ascendancy and then six minutes before the break they went three up. 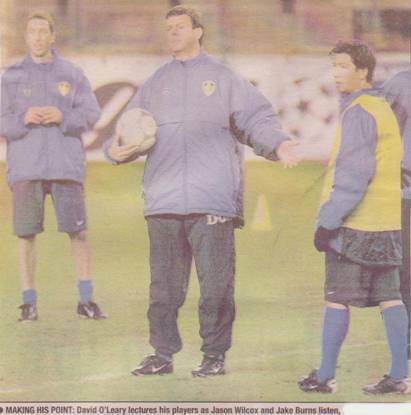 This time David Batty was the provider as he took a ball from Olivier Dacourt in his stride and clipped it in for Alan Smith whose lob over the advancing keeper was judged to perfection. The goal caused Anderlecht to bring on substitute Arune Dindane for Aleksander Ilic but it changed little as Jan Koller headed wide and Tomasz Radzinski’s shot was off target and then Didier Dheedene was far too high with a free-kick as the home team went to the interval 3-0 down and their position going from bad to worse. 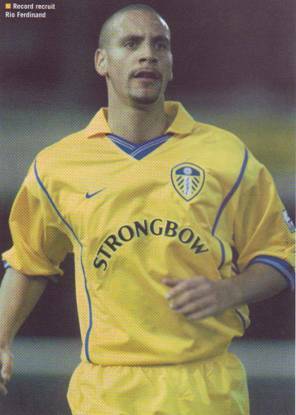 Rio Ferdinand almost scored his first Leeds goal with a volley from Ian Harte’s corner which was only pawed at by Zvonko Milojevic, but Glen De Boeck was on the line to cover. 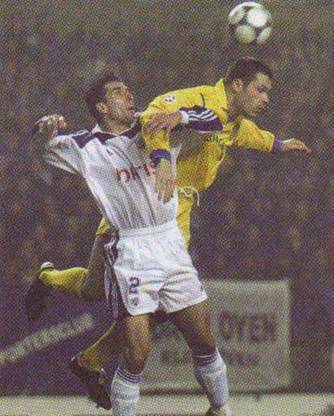 Nigel Martyn saved at the feet of Bart Goor as Anderlecht broke on the hour. 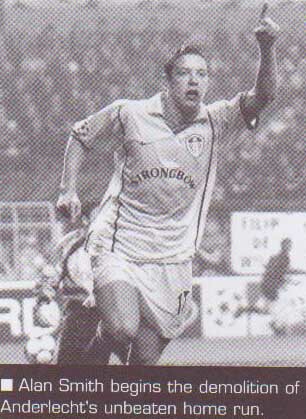 The six foot eight inch Jan Koller was proving to be slow and easily predictable but his persistence paid off when he managed to head a reply for Anderlecht from Didier Dheedene’s free-kick after seventy-six minutes, but seconds later he was back again but this time Nigel Martyn produced a flying save to stop his point-blank effort. 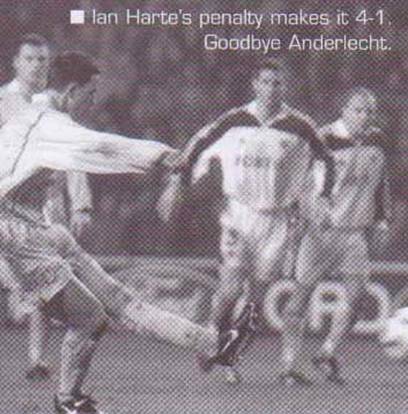 Anderlecht’s humiliation was complete when, with their fans streaming out in droves, Glen De Boeck floored Mark Viduka in the box with ten minutes left and Ian Harte drilled home the spot-kick with his usual unerring accuracy.